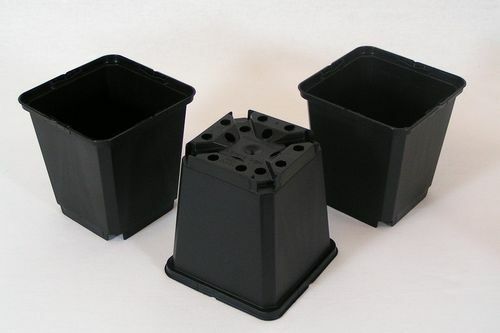 Strong and sturdy these black plastic square plant pots are perfect for growing from seed. These plastic flower pots are made from strong sturdy black polypropylene. Such square plant pots are therefore designed to be used and reused time and again. Good strong starter flower pots for all gardeners. These plant pots are a popular choice for starting off seeds, and planting on cuttings and seedlings. Many gardeners also find these plastic pots useful for cactus plants, herbs and small alpines. Each black plastic plant pot is complete with two layers of drainage holes. Each plant pot measures 9cm square and is 9.5cm high. 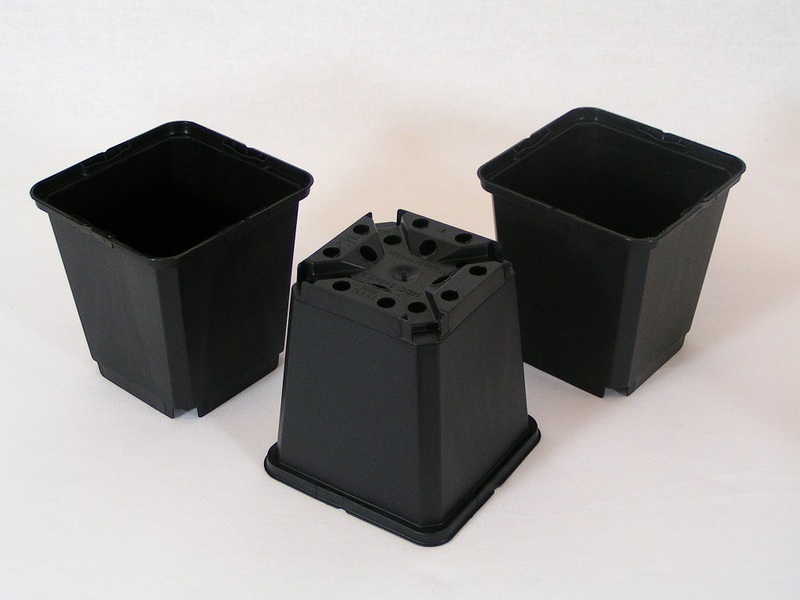 Strong black plastic plant pots like these are available to buy in a full range of sizes from EdenSupplies. We also stock a similar sized square plant pot in a more economical lightweight black plastic. EdenSupplies, Eden House, 15 Broomfield Road, Fixby, Huddersfield, HD2 2HQ.